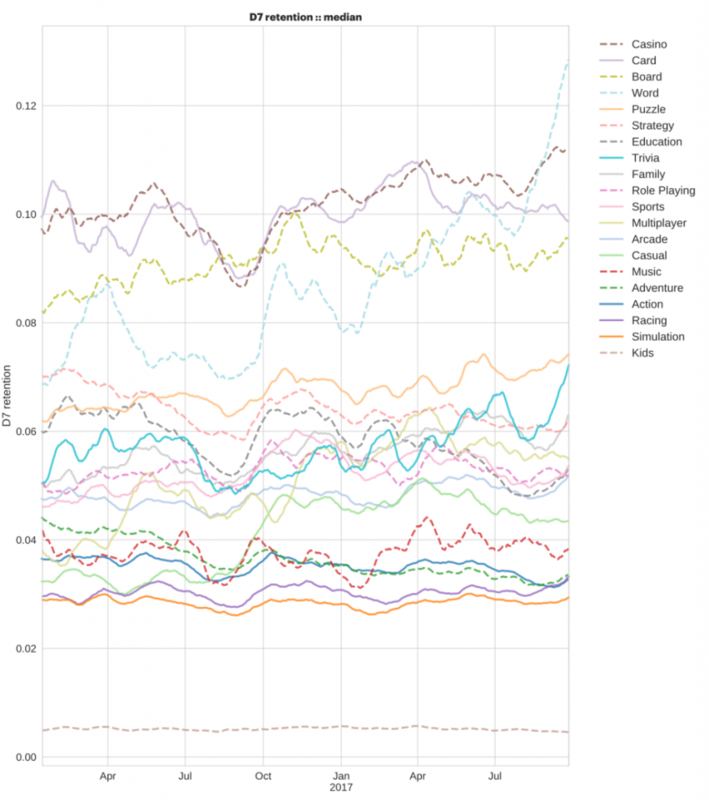 For many developers, player retention is considered the most important metric for a free to play game. Every game company obsesses about reaching higher and higher retention to ensure their user base grows and grows. On a weekly basis, I hear developers asking “What level of retention should I be aiming for?”, or “What day seven (D7) retention is needed for us to get a publishing deal?” However, the real question they should be asking is, should a single number decide the fate of your latest prototype? When I think about retention, I like to think of the analogy of Miles per Gallon (MPG) in a car engine: the higher your retention, the higher your MPG, the more efficient your game’s engine. Revenues and marketing are the fuel that power this engine, so my advice is, be sure before you slam your foot on the accelerator. The key lesson is, games with higher retention get further for less. However, just as there are cars built for many different purposes intended for different users, there are many games for many gamers – not all cars need high MPGs. A hot-rod, might be the fastest car on earth, but it requires a small oil well to keep it running. 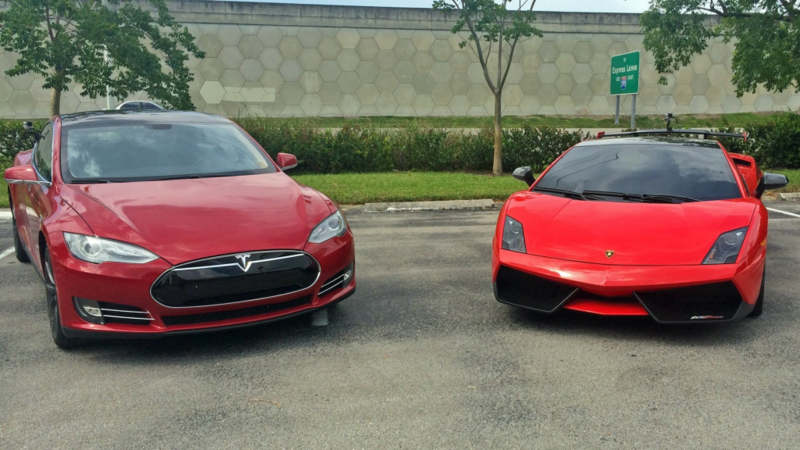 A family SUV serves multiple purposes at the cost of its efficiency, and a Tesla Model 3 does away with MPG’s entirely. 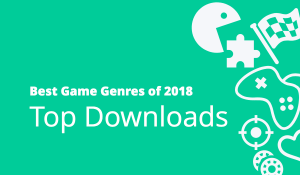 It is much the same with free to play games: different genres have different retention profiles, and different games monetise at different points in the funnel. Likewise, different business models rely on different audiences engaging for different periods of time. 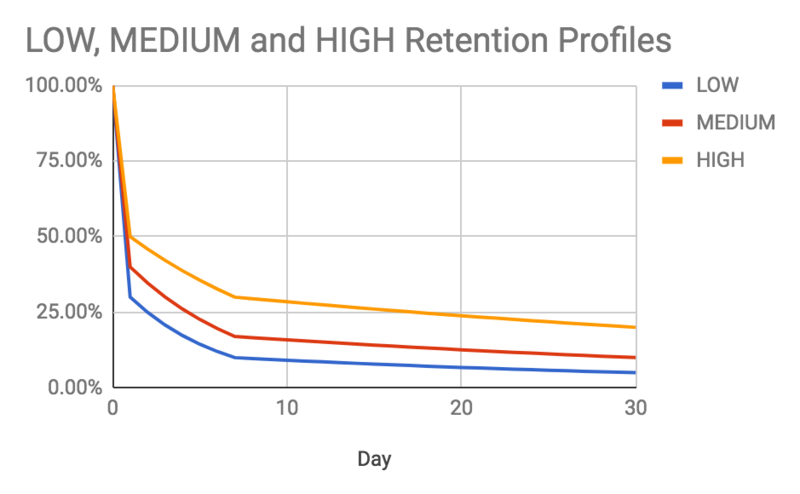 In each case, there’s not a single retention curve that is the correct model, merely a retention profile that gives signals to where your game is weakest. So, rather than focusing on the numbers themselves, look for the days of the curve which have the biggest relative drop, as this can be the point where you lose people fastest. During a soft launch is the critical point where major decisions to carry on can be decided – it is often retention metrics that decide the fate of your game, but too little focus is given to the even fainter monetisation signals. For a free to play game to be a successful product it has to monetize. During the first few days of a new prototype’s launch you will have very few data points to make a call, but you must see some monetisation from some individuals. 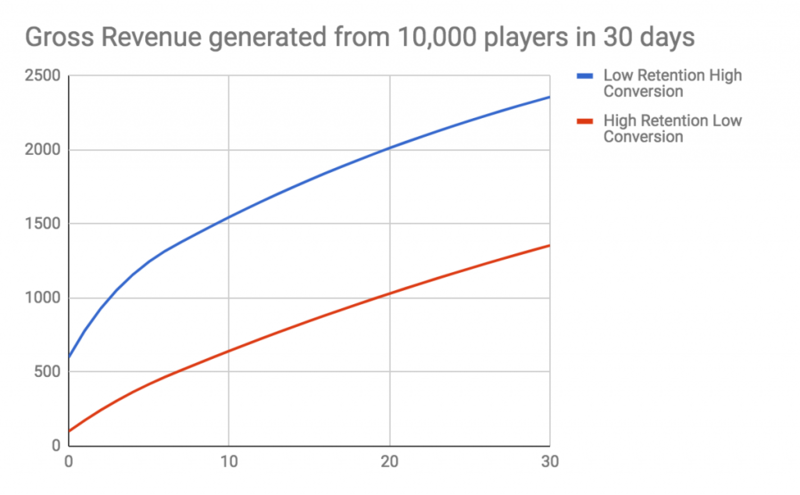 Focus on the conversion rate and the ARPPU you receive: it’s these two factors help to give a sense of what might happen if the game we’re to scale. Monetisation only occurs when your game’s system is appealing enough for someone to spend, and the amount they spend is the only real signal you have to how much value your product could create. Spend doesn’t need to equate directly to an IAP, but also how many unique players watched an ad or signed up to a subscription. In each case, the number itself isn’t as valuable as what it results in: Gross Revenue. 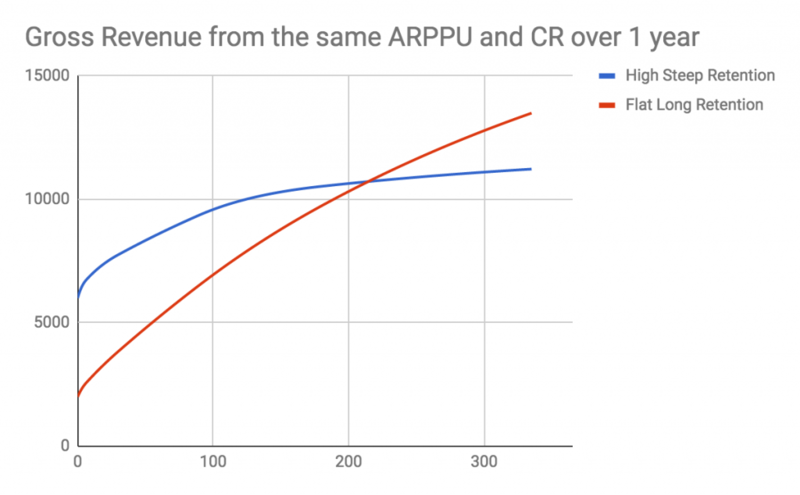 I would argue that the more important metrics to consider when evaluating early prototypes are Conversion Rate (CR) and Revenue per paying user (ARPPU) as these small signals show that your engine is working. Returning to the analogy of Miles per Gallon, increased MPGs are a result of a more efficient engine. Conversion Rate and ARPPU are like fueling the tank with gas – the more gas you get the less efficient you need to be. However, it’s admittedly difficult to work out early on just when your engine is ready to take to the streets. Each metric is only a signal: it gives you a rough overview of your games abilities. In order to build better games, you must focus on the components, not the metrics that show the signal. Only if each component is optimised to its specific goal will you start to see improvements in your metrics, the most general of which is retention. Just like a car engine has pistons, turbos and exhausts that contribute to its overall efficiency, your game has FTUE, Clear UIs and Desirable characters to collect. A real jump in MPGs comes when as a game designer you appreciate the interplay between these features, and realise which of your designs is weakest. 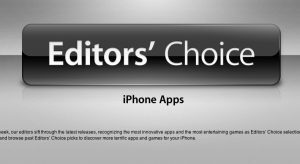 Don’t get me wrong – retention is a fundamental driver of success on any app store, but this obsession with the number your game needs to hit is not how you build a better game. Indeed, improving retention is something we’ve written about it on multiple occasions. LTV (Life Time Value) of a gamer is fundamentally what allows you to call a game a success or failure – a high enough LTV allows profitable marketing and growth of your game. However, by its very nature it is an estimation of future value – it can give horribly inaccurate signals early on during testing. There are also many different methods used to calculate it across large time periods. The equation above focuses on 30D, simplified LTV – LTV is driven on the one hand by revenues (fuel) and on the other side retention (efficiency) with a time estimation for the future value of a player (discount rate). You can read more about methods for calculating LTV here. Too much focus is given to the early retention metrics of the equation, because it’s easiest to gather with small amounts of data, but without any revenue signals being present there is no fuel to grow the LTV. CR and ARPPU are not accurate measures for generating robust models, but they do provide simple signals for game designers. Conversion Rate is a clear indication of necessity and desire – it’s a signal showing just how many players want to invest in your product, understanding exactly when they bought and what they bought can help you optimise your design funnels to make purchasing clearer for future players. ARPPU is a strong indicator of pricing and value. You need to ensure that when someone does convert they are giving you the most that they would be willing to pay for content in your game, not converting for an overly generous bargain. Quickly testing multiple price points for your game’s economy can greatly increase your gross revenue. Retention is a fundamental factor in LTV calculations – higher values are always better – but, as we’ve seen, exact figures vary greatly per genre. No matter what your retention curve looks like it won’t directly affect your monetization design. What you ask a player to buy and whether they buy it is a personal decision for each and every gamer. Making that decision clear, simple, desirable and valuable will maximise your conversion. So what can retention tell you? D1 retention shows me the desirability of your game – fun games are desirable, and people will happily play again tomorrow without the need of much investment or prompting. D7 retention shows me the core loop in your game – do they have a clear goal? Do they engage with your systems? Do they form strategies? D30 retention shows me whether your core loop scales – Do people have enough content? Can they set long-term goals? Do they get stuck and still want to play more? In each case, it’s not just the number that’s important, it’s the speed at which the retention drops – the steepness of the curve, if you will. Wherever the steepest drop descends, is where your game is currently weakest. The ideal scenarios is to reach a flat and stable base that is maintained for 60, 90, 180 or even 360 days into the future. When you predict revenues for the long term, even a significantly lower starting retention provides much higher gross revenue over the long term. The early ‘wobbles’ in a retention curve point to gameplay issues. 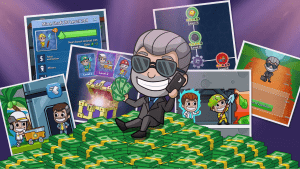 For example, your economy may have expanded too much, or the players might simply have reached the end of your content more quickly than you expected. In these cases, you can use these drop off points in the profile to go back and add in more depth to your designs. Retention is one of the easiest and most reliable metrics to obtain during a soft launch, but don’t let it rule your development, creativity or decision-making abilities – use retention as a barometer to point to deeper issues in your game design. In essence, focus on understanding what is driving your players to spend money. Even the weakest signals can prove that you have a potential product on your hands, so stop focussing on the numbers directly and look for the broader trends – the patterns or fluctuations in the figures – to aid your game design planning. The last thing you want to do is send a great game to the scrap yard.